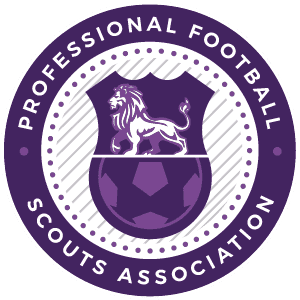 Visit the PFSA Education’s Homepage for information on our industry leading portfolio of scouting courses. The PFSA Level 2 Talent Identification in Football Course is accredited by the NCFE (National Awarding body) and is our most popular option. The PFSA Level 2 has been taken by many ex-professional footballers and current Heads of Recruitment to further their knowledge of Talent Identification. Course Length: 2 Days (Saturday & Sundays). Unlike other talent identification offerings, the PFSA Level 2 Talent Identification In Football Course was developed and is delivered by industry leading elite talent identification experts from Premier League Clubs. Please note that although the home of the PFSA Level 2 is Hotel Football, Old Trafford, we do hold courses with our partners across the UK and overseas. Day 1: Talent Identification / Safeguarding Children. Talent Indicators and Early Predictors of Talent, Performer Profiling, Successful Talent ID Programmes and Systems for Football, Creating / Implementing Talent ID Programmes, Understand How Sporting Talent Is Developed and Maintained, The Future of Talent in Football, Safeguarding.- Overview of different types of abuse, behaviour, policies, identifying the UK legal framework and a case study. Day 2: Player, Team & Match Analysis in Football. Role of a Scout, Scouting Protocols, Match Preparation, Video Analysis, Individual Player Reporting, Match Reporting, Team Formations, Player Assessments and Identifying Strengths and Weaknesses of a Player. Football Clubs who have attended the courses include: Manchester City, Manchester United, Chelsea, Arsenal, AFC Bournemouth, FC Bayern Munich, FC Barcelona, Real Madrid, Celtic, Aberdeen, Stoke City, Burnley, Bolton Wanderers, Tottenham Hotspur, Coventry, Bury, Reading, Blackpool and many more. The PFSA Level 2 Talent Identification In Football course is perfect for both scouts who wish to further their knowledge with an accredited certification in Talent Identification and those looking to enter a career in football scouting. People have travelled from all over the World to attend the courses – which include America, Australia, Cambodia, Mexico, Portugal, Poland, Saudi Arabia, Nigeria, Columbia, Brazil, Cyprus, Scotland, Ireland, France, Austria, Holland, Denmark, Italy, Germany, Gibraltar, Turkey, Lithuania and many more. All new customers onto the PFSA Level 2 Talent Identification In Football Course will receive exclusive access to Wyscout. The PFSA is proud to partner with one of the markets leading analysis platforms used by Arsenal, Manchester United and many more. You can now spread the cost and book your place onto the PFSA Level 2 Talent Identification In Football Course, find out more here.